If you are a WRITER who needs help with a specific project, Barbara Florio Graham can provide tips about how to organize your material, how to break through "writer's block," and point you to resources for research, editing, and marketing. Her expertise can save you time and speed up the process. Mentoring does NOT include editing, review of more than 1000 words per week, or specific markets. Bobbi is often hired by an author who isn't sure how to publish a book. She can advise him or her if the book should go to an agent (and point out how to do that), help write a book proposal, or advise whether this book is suitable for a small publisher, one of the few reputable print-on-demand firms, or self-publishing. The set-up fee allows Barbara to review your project, evaluate your plans and discuss these with you before proceeding. All mentoring and consulting takes place via email, which allows Barbara to find resources to help you, suggest strategies, send you attached files and URLs, etc. plus an initial $250 set-up fee. where to mail your check/cheque. I log each hour you use (based on the time it takes me to read and respond to your e-mail and any attachments you send), and I am very flexible about spreading mentoring over more than a month, if you start to act on my suggestions and need a few weeks to implement these before you return to me with further questions or direction. Two of my colleagues in the U.S. charge far more for this type of mentoring. Peter Bowerman's fee is $125 an hour, while John Kremer charges $3000 a month for access to his expertise via phone and e-mail. If you are an AUTHOR, published or not-yet-published, who needs help with MARKETING, Barbara Florio Graham can help. You direct the process, asking specific questions and requesting specific resources. It's often wise to begin the marketing process before your book is finished, so you can ask for help deciding what promotional materials you need and how to create them. If you already have these in place, Barbara will evaluate your promotional materials, and help you create any that are missing, help you target key media, and suggest other marketing strategies, depending on your target audience. The set-up fee allows Barbara to review your book. She will look carefully at the cover, the back cover blurb, read the first chapter and skim the rest, perhaps asking you questions along the way. you can send the first chapter as a Word doc, and the cover as a JPEG attachment. Among the 45 writers I have mentored since 1995, one wanted to make the transition from writing articles to writing books, one needed to know if her poetry was ready for publication, one was trying to organize many years of research in preparation for writing a biography, several others had many ideas for articles but wanted advice on how to focus on one subject at a time and slant their work for specific markets. Several have come to me at the beginning of the process of writing a book, and I've helped one set up a website and then go on to write and publish her first book. Another has used my help to direct the research and writing of her book, and another author was looking for help selecting a cover, preparing a back cover and "front matter," and then promoting the book. This is a short-term commitment to help you get something specific off the ground, whether you're a beginner just starting out or an experienced freelancer who wants to move in a different direction. Barbara Florio Graham played a key role in helping me get established an an author ten years and 29 books ago. And she went from being a mentor to a friend a long time ago. Ann Douglas, parenting expert and creator of The Mother of All Books series. Barbara Florio Graham is a delight to work with. She is knowledgeable, efficient, organized and very insightful. I have learned the value of listening to and following her comments, critiques (always given gently) and observations. 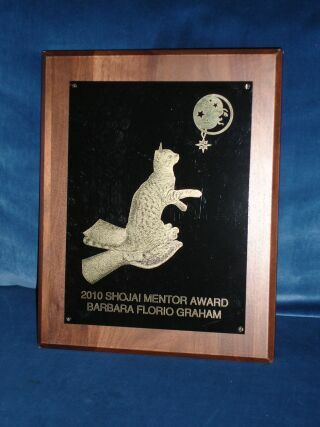 If I had not been mentored by Barbara, I do not know where I would be. Her belief in me and my first book, her suggestions, contacts and everything she has offered me have been inspirational. Because of her competence, I am well on my way to seeing this book go forward. I think any writer who contracts with her will succeed, because Barbara has a real expertise and offers this so enthusiastically. Future authors, you will be in good hands! I will be eternally grateful to you, Barbara, for your efforts on my behalf. While I continue to research and write my book, it is a comfort to know that Bobbi Graham is available for professional consultation. She is a fount of publishing knowledge, and she is always at the ready whenever questions arise. As I make my way through this fast-changing and often confusing industry, I am pleased that I have the support and experience of Bobbi Graham on my side. me knowledge that will assist me in any future projects. I would encourage anyone who needs literary advice to seek the professional help of Barbara Graham. "Five Fast Steps to Better Writing" sits close at hand whenever I need a refresher.